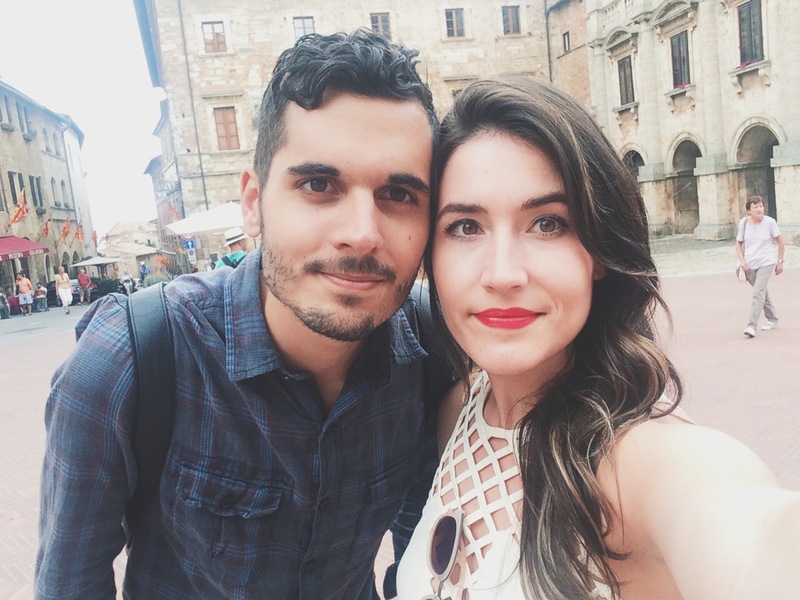 We’ve returned from Italy and might I say, I could’ve stayed forever. FOREVER. For obvious reasons concerning my love of food, it was a dreamy land flowing with the flavors of heaven. 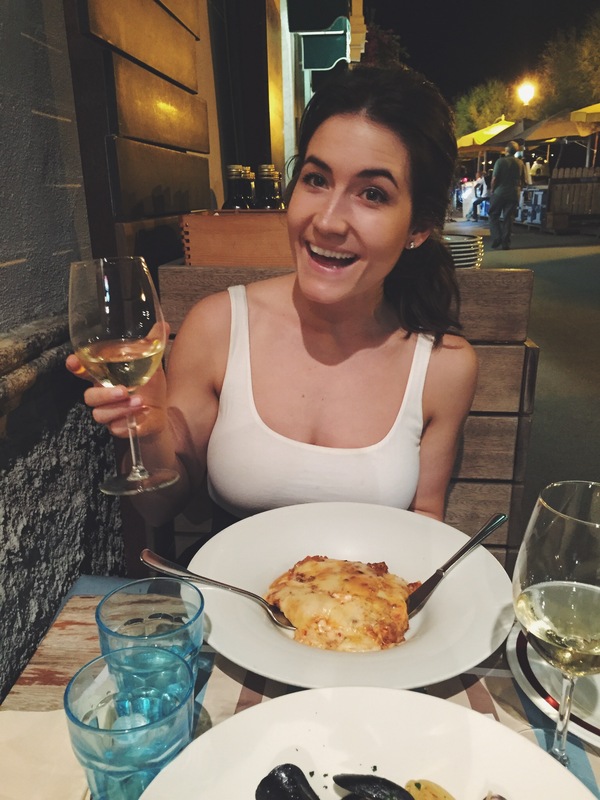 This was our first meal in Italy, after arriving in Cinque Terre. I kid you not, BEST lasagna of my life. But on top of all that, it was the colorful landscape, lovely people, gorgeous language, stunning architecture, peaceful vineyards, crystal clear ocean water, and refreshing pace of life that compelled me to fall in love. So here we are discussing PASTA. 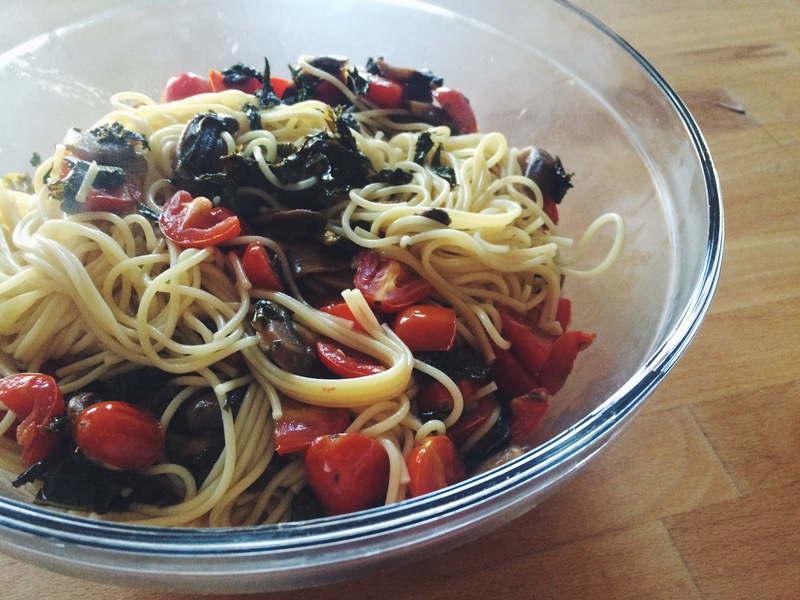 It’s on the blog today because we hadn’t eaten it since returning to Brooklyn! 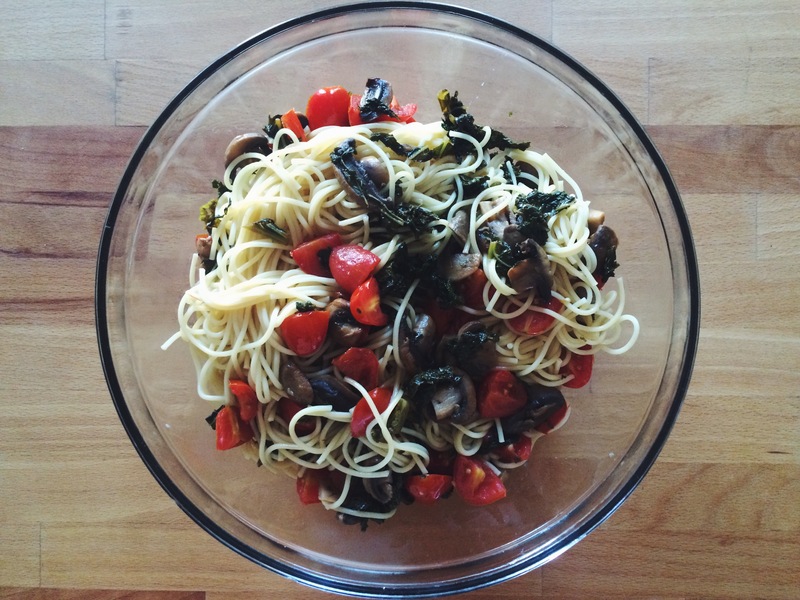 It’s hard to compare, once you’ve had the real deal:) Nonetheless, this pasta dish I whipped up is something you can easily toss together in your own little kitchens! 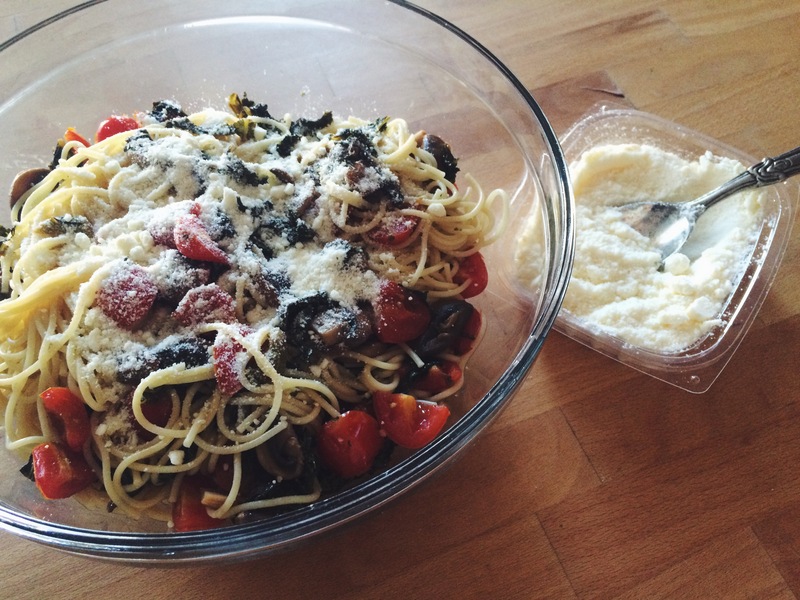 Mix with pasta, add 2 TBSP olive oil and 1/4 cup parmesan. Mix and serve! 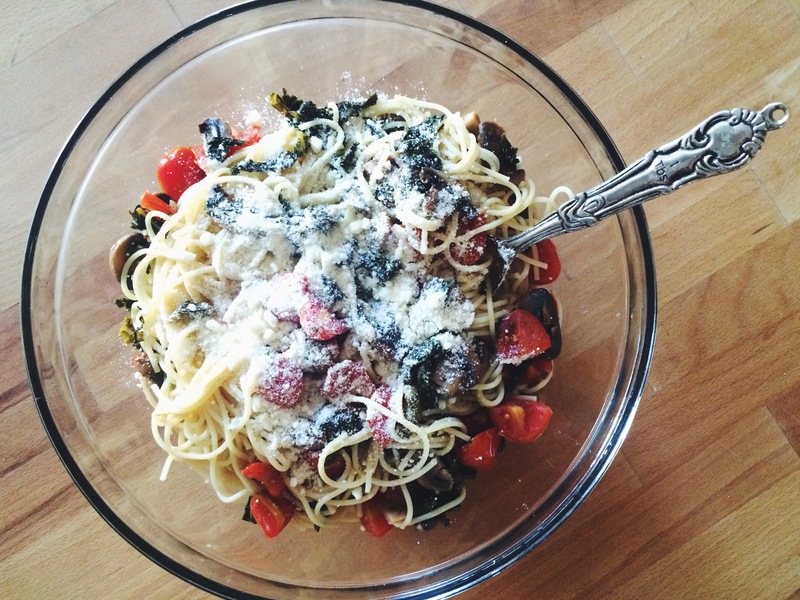 Sprinkle extra parmesan on each bowl before serving. Happy to be home and sharing more food with you!